At Barrington Family Medicine, our support staff prides itself on high levels of patient satisfaction. 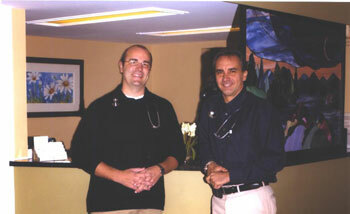 Our friendly front desk staff understands that dealing with your health insurance can sometimes be a difficult task. Furthermore, we know that this frustration can be compounded by sometimes being sick. We strive to make this process as easy on you as possible. When you call, you’ll speak directly with someone eager to help with your needs. We are advocates for you and will gladly help you in any way possible, including scheduling appointments that work for your schedule! Our nurses are skilled in helping you with any medication refills, drawing blood for laboratory evaluation, blood pressure checks, and any other medical issues you may have. Copyright © 2006 Barrington Family Medicine Website design by Webcast 1, Inc.